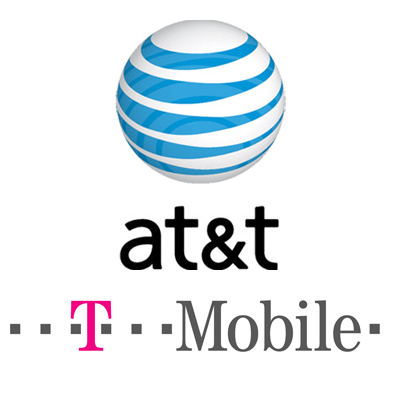 On the roadway to become the largest carrier in the U.S, AT&T announced on intentions on acquiring T-Mobile USA from Deutsche Telekom in a deal amounting $39 Billion. For quite some time AT&T had plans on buying out its competitor T-Mobile, with many of view, that Sprint would likely purchase the Telco, AT&T struck at the right time. Both, AT&T and T-Mobile, run on GSM standard which was rather a swift move compared to Sprint’s frequencies, who’s network is powered with the CDMA standard. T-Mobile’s official Facebook page announced on the agreement which is expected to completed in approximately 12 months. AT&T Inc. (NYSE:T) is a premier communications holding company. Its subsidiaries and affiliates – AT&T operating companies – are the providers of AT&T services in the United States and around the world. With a powerful array of network resources that includes the nation’s fastest mobile broadband network, AT&T is a leading provider of wireless, Wi-Fi, high speed Internet, voice and cloud-based services. A leader in mobile broadband and emerging 4G capabilities, AT&T also offers the best wireless coverage worldwide of any U.S. carrier, offering the most wireless phones that work in the most countries. It also offers advanced TV services under the AT&T U-verse® and AT&T ?DIRECTV brands. The company’s suite of IP-based business communications services is one of the most advanced in the world. In domestic markets, AT&T Advertising Solutions and AT&T Interactive are known for their leadership in local search and advertising. I hope we can expect improvement!! !